Nothing can hurt your business faster than the discovery of bed bugs in your assisted living facility. When these tiny pests infiltrate businesses they can be very difficult to remove. Unfortunately, because they are so prevalent – especially in certain parts of the country – there’s a pretty good chance you will have to deal with them at some point. The “hitchhiker bugs” who commonly attach themselves to clothing, shoes, luggage and even books and magazines, can go months without a meal and can quickly hid in the cracks and gaps of your assisted living facility. This makes it extremely hard to detect an infestation at first, but as bed bugs lay about 4 to 5 eggs a day, the population in your business will grow rapidly until there is a huge problem. 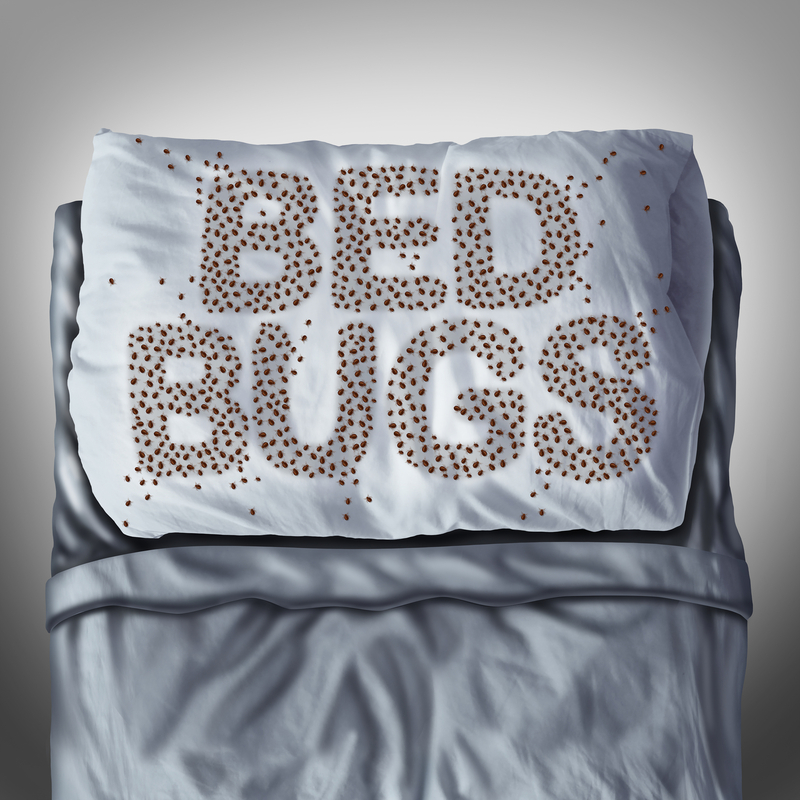 Bed bugs bit humans and leave a small, red, irritated bump that can be very itchy. These insects should be avoided at all costs. While no business is really safe from bed bugs because of their very nature of hitchhiking onto things, there are ways to avoid them. The following are a few ways that will help keep your assisted living facility free of these annoying pests. Depending on the season and the location of your Assisted Living Facility, you could be dealing with a number of different types of bugs – many of which bite humans. If you find a bug or have a patient or staff member with a bite on them, do your research online or call a specialist. Pictures of bugs and bites will help you identify if you are dealing with bed bugs or fleas, ticks or even spiders. Because these pests are such hitchhikers, you may want to have a policy in place to avoid any bed bugs coming in with new patients. You can require all new patients to have their belongings (everything from clothing and blankets to actual luggage) cleaned and laundered by the facility. Because Adult Day Cares have a lot of traffic and people that come from all different locations, you will want to screen adult day cares to ensure there are no bed bugs at the facility. And, ensure they have a cleanliness policy in place. Once you have identified that you do, in fact, have bed bugs in your assisted living facility, then you’ll want to clean up the clutter to eliminate hiding places. The more cluttered your facility, including the patients’ rooms, the harder it will be to locate and treat them. If you find bed bugs in the mattresses (where they tend to go first) you will need to get special bed bug covers and put them on both the mattresses and box springs. These covers make it harder for bed bugs to get to the patients while they sleep. You will need to leave the encasement’s on for a year so be sure you get a product that is strong enough to last that amount of time. By simply keeping things clean as a preventative measure, you will reduce the number of bed bugs and their eggs. It’s important to remember that bed bugs and their eggs also hide in laundry baskets and hampers so be sure your cleaning staff cleans those out too every time they do laundry. Carefully vacuum rugs, floors and upholstered furniture. Also, vacuum bed frames, under beds, mattresses and in every crack and crevice of the bedrooms. You will want to make sure the cleaning staff changes the vacuum bag after every single use of the vacuum. The used bag should be placed in a tightly sealed plastic bag and placed in a garbage bin outdoors. If the infestation has gotten out of control, you will need to turn to a highly trained and experienced exterminator in your area. These experts can take care of any pest issues while insuring the pesticides are safe for the patients in your facility. Before you hire a professional you may want to read reviews and be sure the company has a good reputation. You could even contact your state pesticide agency for guidance about hiring professional pest control agencies. Once you have a relationship with a pest control company, have them come out regularly to keep the bed bug problem, and any other pest problem, under control. While bed bugs do not pose any serious health threats to humans, they do pose a potential threat to the reputation of your assisted living facility. If the word gets out that your business has an infestation, it could take years to recover. Once it is known that you have bed bugs at your assisted living facility, the problem needs to be taken care of immediately. Whether you are recovering from a bed bug outbreak or are just trying to grow your Assisted Living Facility business, SSMPAS.com can help. Even before you sign up you can see that you get so much more with us. You’ll even get your own webpage! Get started with SSMPAS.com today and see the difference! With an extremely low cost (pennies per day) and the ability to cancel at any time; you can’t go wrong with a custom page to reach millions of clients and it is a great opportunity to strengthen your online reputation.